It's called "White Seabr, eam" in English. 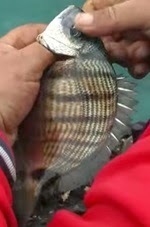 This fish can cause 'addiction"
Watch these guys, in Azores, they put their life in danger to catch this gorgeous fish. 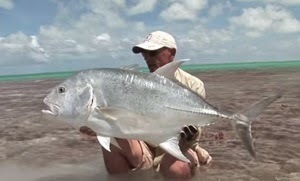 Believe me, if you ever catch a sargos once, you will never forget it. I go all around the world for fishing and I get many different species but, at the end, I always go to my beloved Sargos. It's the best!